I didn’t get around to doing a separate post for yesterday. Oops! That’s okay – it wasn’t an extremely full day for us, so I’ll just lump it in with today’s fun. 🙂 And now that we’re at the airport waiting for our flight home anyway, what better way to kill some time? It’s been hard to sleep late on this trip because we’re two hours behind the Twin Cities, so I was awake by 630a both Thursday and Friday and Scott was up by about 7a. Don’t worry though – we still didn’t get too early of a start. It was actually pretty similar to Europe – wake up, check e-mail/social media, lounge around for awhile, and then get going. The only for sure thing on our itinerary was dinner at Sur, so we decided we would do a later breakfast, do some walking around, and then do dinner. Our late breakfast was at Hugo’s, a place Scott found through some sleuthing on Yelp. I had some really tasty cinnamon swirl French toast while Scott enjoyed a favorite of his – chilaquiles. Both were great! And Hugo’s was a really short walk (less than ten minutes) from our apartment, so it worked out perfectly. From there, we got started on the Grafton Walk (also found by Scott). We were hoping we would see some cool sights, but to be honest, we both thought there was nothing stand-out about it. It was also pretty hot out, so that didn’t help. If the weather is nice and you’re just looking for a planned-out walk, I would say go for it, but in terms of seeing anything really interesting, you can skip it. Post-walk, we enjoyed some swimming in the rooftop pool at our apartment (very cold pool, but refreshing! 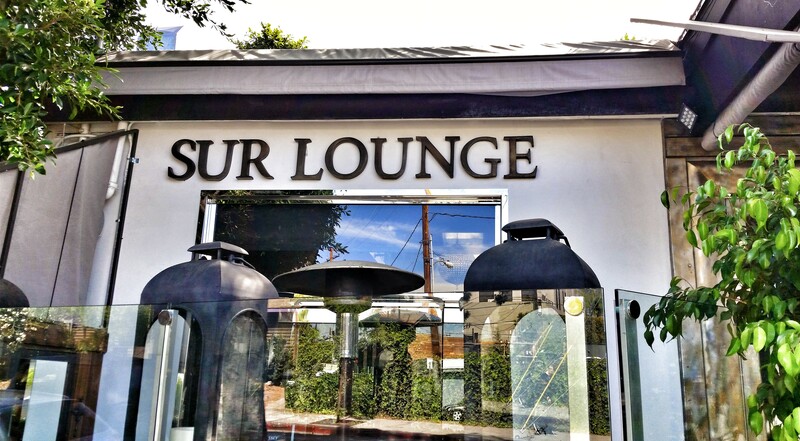 ), lounged around some more, and then went to Sur for dinner. We did have a reservation, which I would recommend as this place is pretty popular, but it didn’t look especially busy when we got there a little before 7p. We both went with somewhat traditional meals – breaded chicken breast for Scott and meatloaf for me. Both were delicious though! If you get the chance to stop by when you’re next in West Hollywood, I would recommend it. 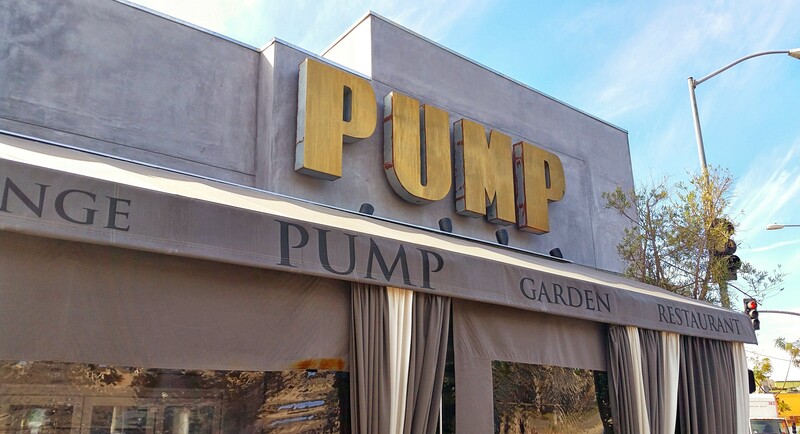 We also swung by Pump (owned by the same person and located just down the street from Sur) for a post-dinner drink. The drink was good and the restaurant had a cool atmosphere, so I would recommend it based on that. That was enough to make me want to come back to try their food next time I’m out here! How about a few pictures before I jump into Friday’s escapades? 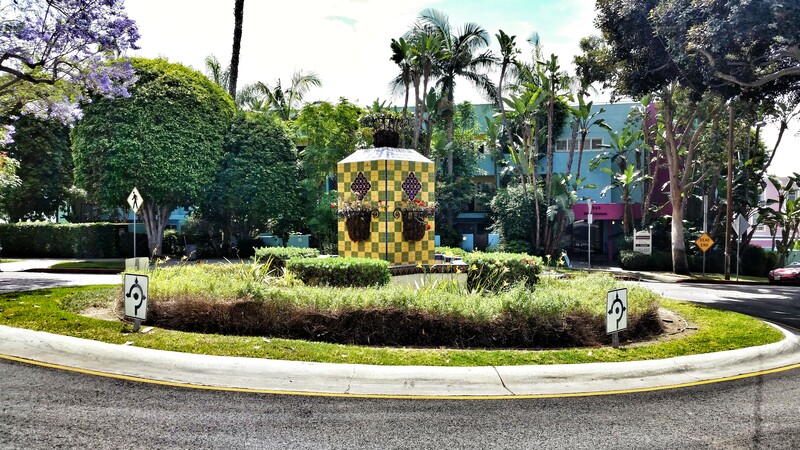 This is a cool tile centerpiece at in the traffic circle on Westmount Drive, which we saw on our walking tour. 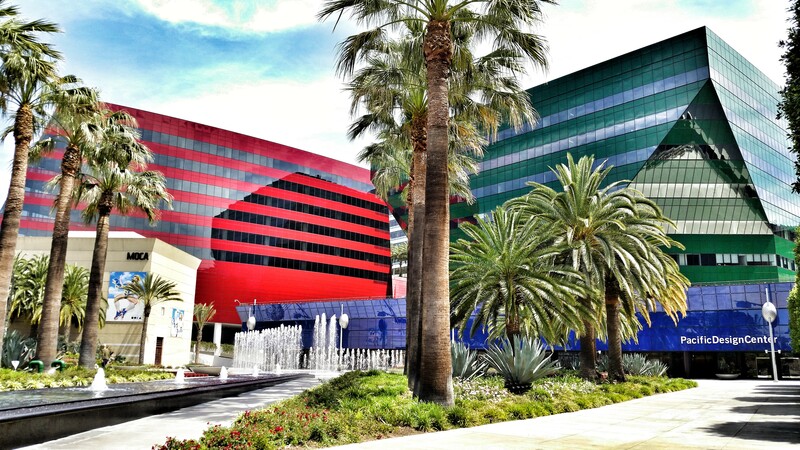 Cool sculpture outside the MOCA Pacific Design Center. 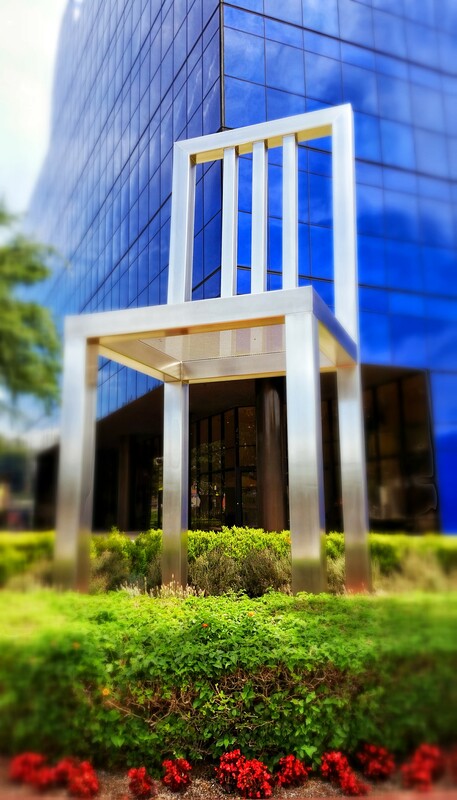 This is just one of the buildings of the Design Center. Love the blue! 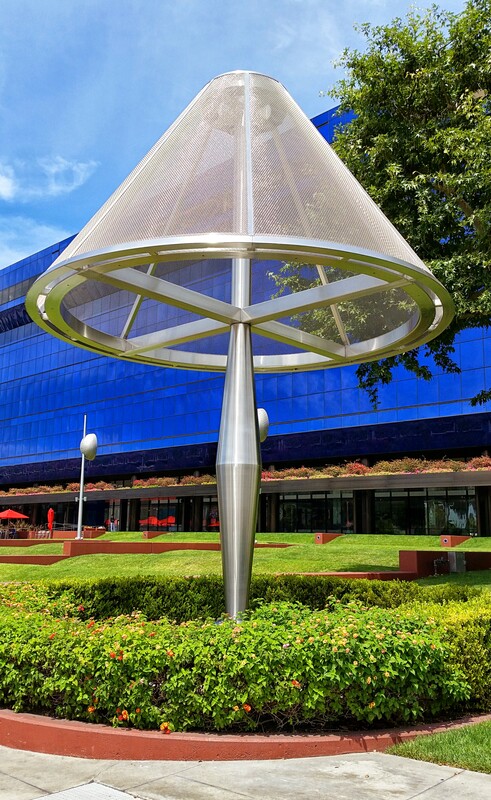 On the other side from the lamp sculpture is this cool chair. 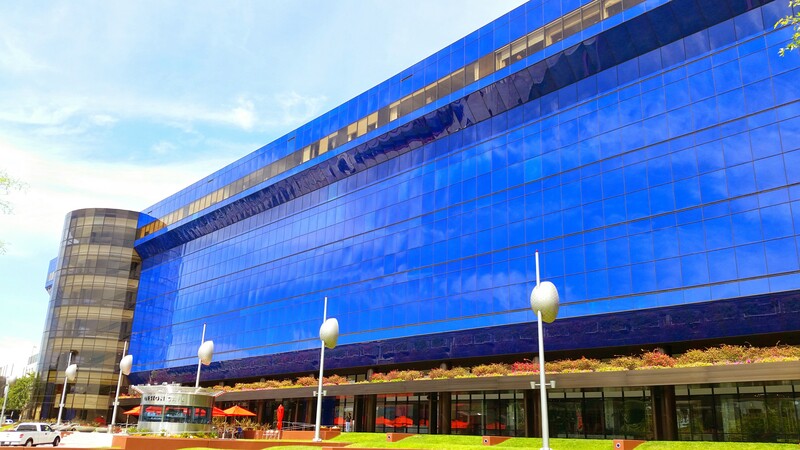 The whole Design Center. So cool! 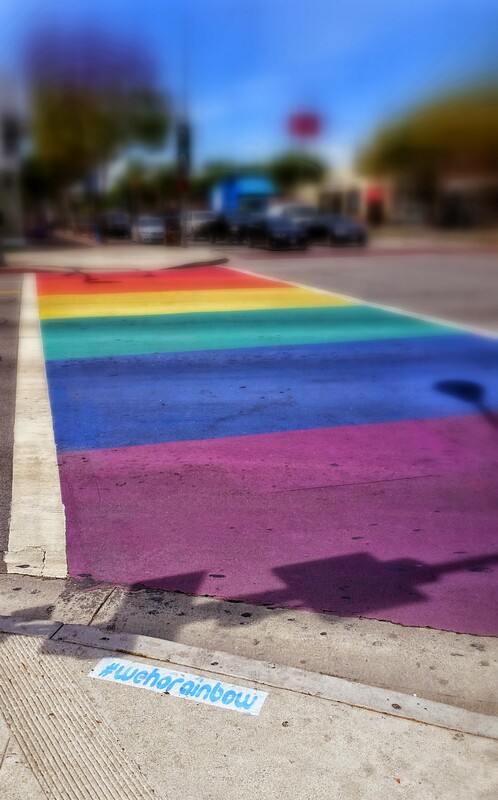 One of the cool WeHo rainbow crosswalks. Our post-dinner cocktail was had here at Pump. How about today? Honestly, it was another quieter day for us. Because our flight wasn’t due to leave until 7p, we knew we had some time to burn, so we decided to start the day with breakfast at The Abbey, which has twice been voted the best gay bar in the world. Not bad! Of course, we were there at 10a on a weekday and we were literally the only ones there, so nothing crazy happened. 🙂 This was another really walkable location from our apartment, further cementing the fact that we got another great place from Airbnb on this trip. After breakfast, Friday was all about driving around to see what sights we could find. Scott did some more sleuthing (he’s done a lot of that on this trip!) and found I Am Not A Stalker (great name, eh), which had some good intel on good views around the city. So away we went on our drive! Since Friday was all about seeing sights, why not just take a gander at photos to get the rest of the story? 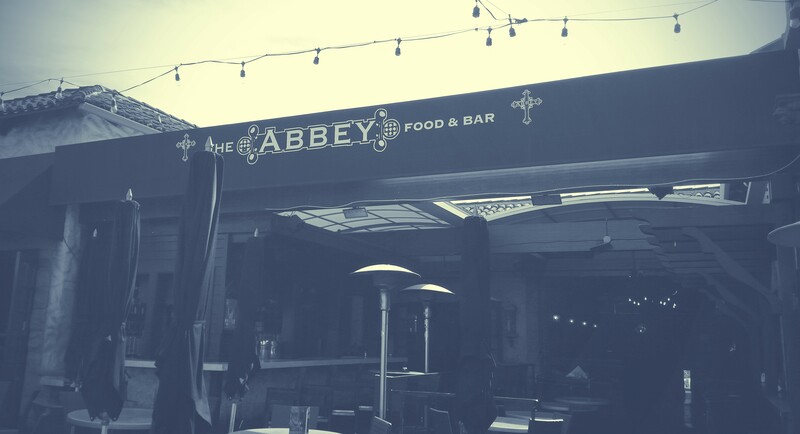 First stop – The Abbey for breakfast. A glimpse at Beverly Hills from the car. Awesome view of the city from the Jerome C. Oliver Overlook. 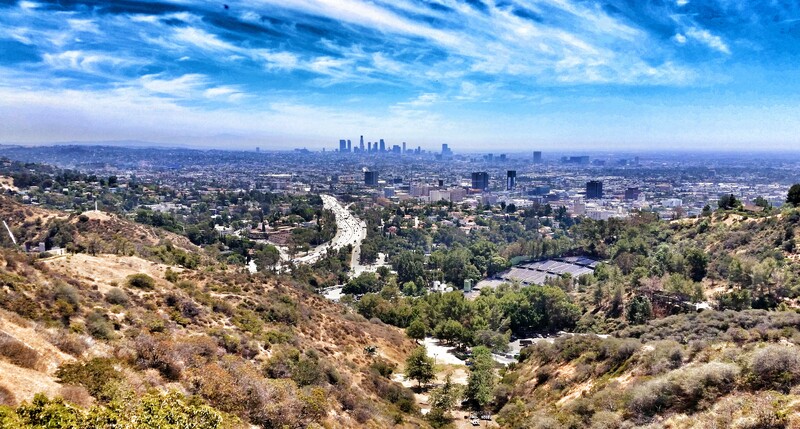 Panorama from the overlook – definitely visit here! 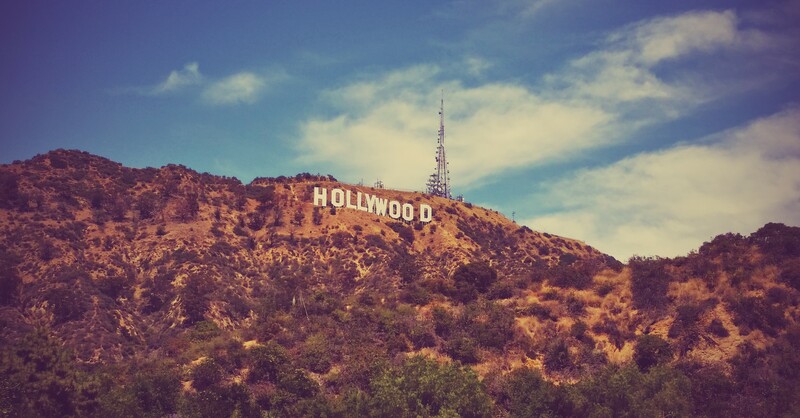 The famous Hollywood sign. 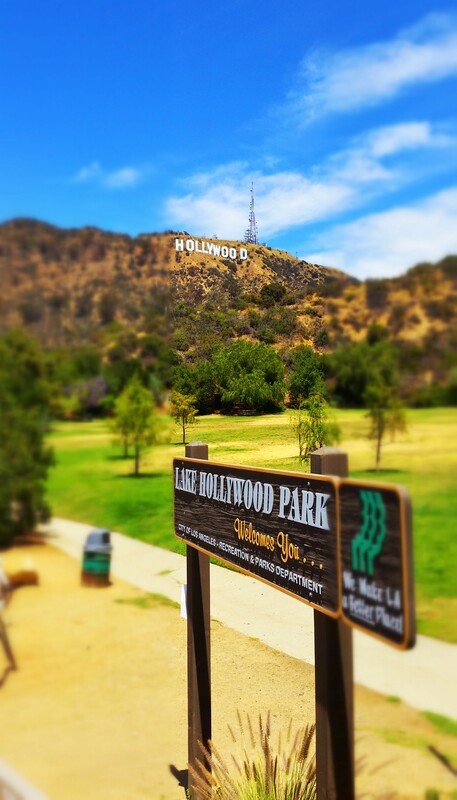 Did you know it used to read Hollywoodland? Another shot of the sign. 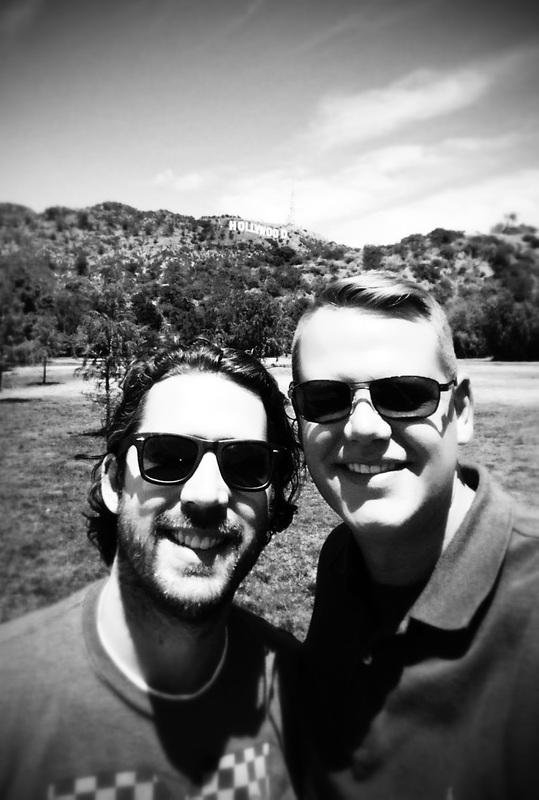 Scott and I in front of the Hollywood sign. And that was the last two days of our trip! I’m actually finishing this post at home because I was so good at killing time at the airport that we had to board before I could finish. Am I productive or what? 🙂 The flight was good (though getting home at 1a isn’t preferred) and now we’re unpacked, doing laundry, and relaxing. You’ll be hearing more from me soon as we’re off to NYC in less than three weeks. See you there! Los Angeles and West Hollywood, COME ON DOWN! !